Laura Numeroff's (very own) Web Site! 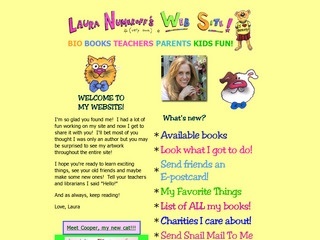 Visit Laura Numeroff's Web site to find out about her life, pets, and books. You can also find fun games and activities relating to her books.